*A big thank you to Levolor for sponsoring today’s post. As always, all opinions are 100% my own. You can check out my disclosure policy here. Hey guys! 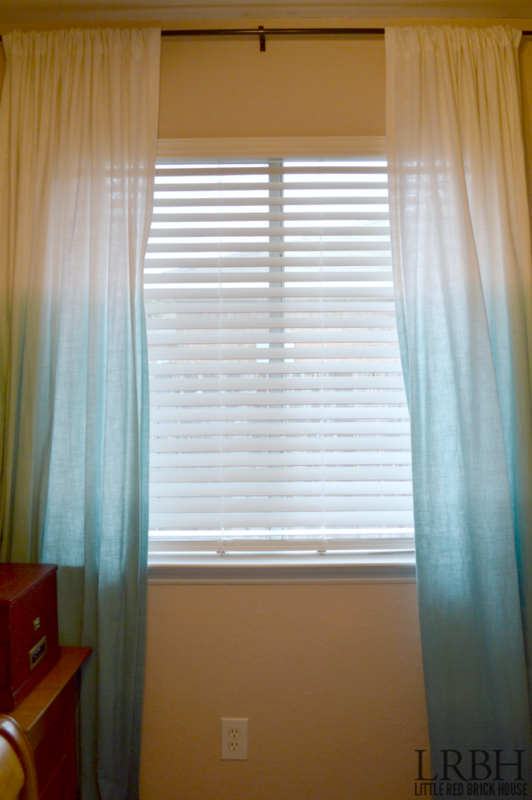 I’m back today with the reveal of the new Levolor® blinds in my son’s bedroom. If you remember a few weeks ago I shared how his kitten keeps him up at night by playing with the dangling cords. Well, I am happy to report that he has been sleeping soundly each night since we made the switch to the Levolor® Premium Faux Wood Cordless Blinds! I can’t even fully express how much I love these blinds. They are cordless, so you don’t have to worry about the safety issues of a hanging cord around your children and pets. They are made to look just like real wood blinds, complete with faux wood grain! How do you adjust them, you say? You just gently pull or push them up and down to adjust the level you need. You can even adjust the speed of the “break” so that they glide up and down at whatever speed is convenient for you. No more annoying, uneven blinds, either. You control the amount of light you want by turning the little wand. I really like this, as opposed to the string control from previous blinds, because I can get the blinds right where I want them. Before, with the other blinds, I’d pull the strings to the position I wanted and then they would fall slightly. They never stayed right where I wanted them. 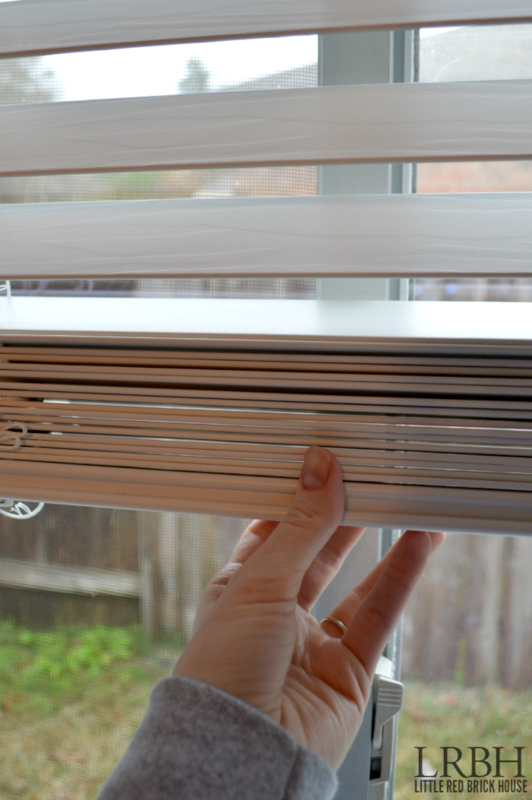 With the wand control on these blinds, they stay put. I love how they have the faux wood grain detail. They look just like real wood blinds but are so much more budget friendly. And best of all, this little one can stay in my son’s room at night instead of being crated for her crazy nocturnal antics. I’ve got some things up my sleeve for the rest of this room, so stay tuned. For now, I am just glad that everyone is sleeping safely and peacefully. 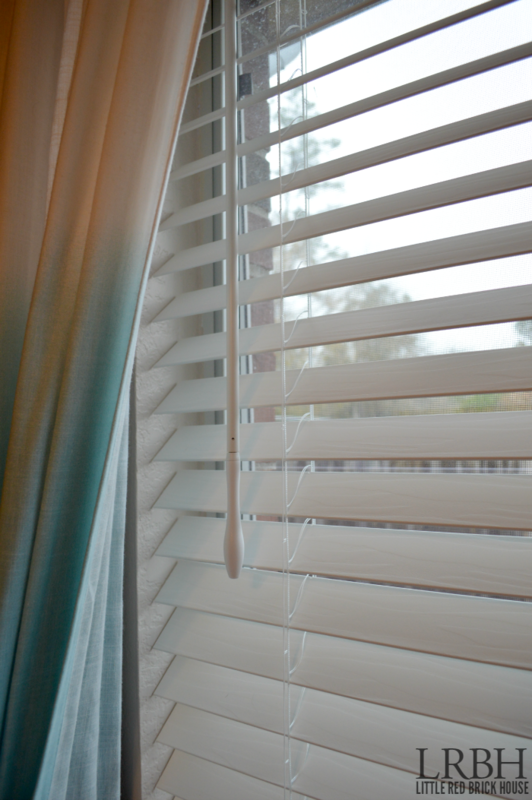 You can read all about my shopping trip (and about the amazing features these blinds offer) that made me decide to go with these particular blinds. These blinds look awesome! 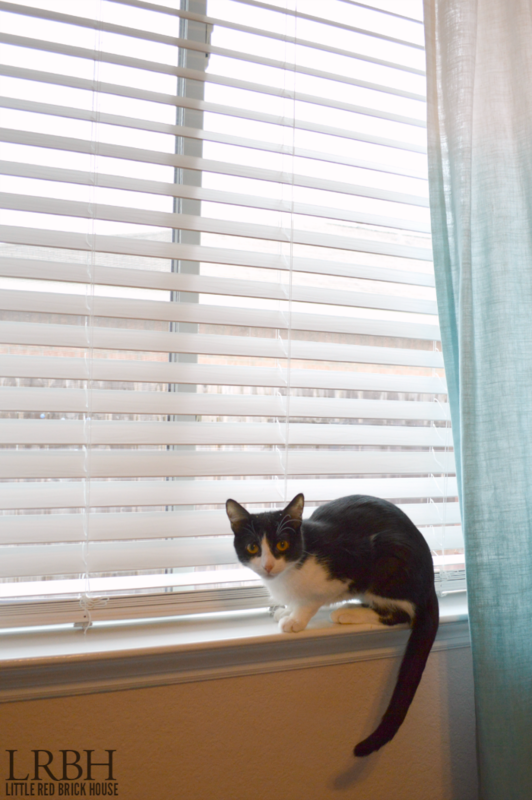 I could definitely use some of those – the previous owners left all the blinds broken and crooked at our house. PS those dip-dyed curtains are AWESOME! I’m jelly. Ugh. That’s exactly how most of our blinds were when we moved in. We’re definitely going to update them with these new ones as time goes on. The curtains are so fun! Thanks! A happily ever after! How wonderful! Kitty is such a cutie, too! The blinds look so nice! Love the gorgeous curtains, too! They look great in the space! I love the ombre cutains too! I think your kitty is wondering where her cord toy went! They look great! Love those ombre curtains with them too! A perfect ending! So cute!